Who do we pray to? Matthew 6:6 But you, when you pray, go into your room, and when you have shut your door, pray to your Father who is in the secret place. Prayer creates an intimate relationship with God the Father AND HE ALWAYS TAKES IT TO HEART. I pray a blessing from God the Father for you! Categories: ENCOURAGEMENT | Tags: believe God, Christianity, follow Christ, God, God's love, inspiration, Jesus Christ, joy of our Lord, love, pray, prayer, praying | Permalink. Someone might read this and decide to find out for themselves how to be released from the world as we have and be filled with a joy immeasurable by letting Jesus take the weight of the world’s sin off of their shoulders and putting it all on His shoulders. (John 1:29 The next day John saw Jesus coming toward him, and said, “Behold! The Lamb of God who takes away the sin of the world!) 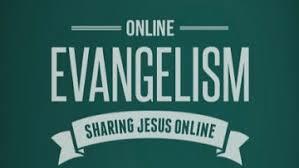 Just follow the message in the Apostle Peter’s first sermon: (Acts 2: 38 Then Peter said to them, “Repent, and let every one of you be baptized in the name of Jesus Christ for the remission of sins; and you shall receive the gift of the Holy Spirit.) By the grace of God you will be raised up a new creation and walk in newness of life, no longer of this world, but your citizenship will be in heaven from that time forward with a residence in heaven waiting for you to occupy. Who am I? Who are you? We are all the children of God! Praise the Lord God and give Him all the glory! Amen! Categories: TESTAMONY | Tags: eternal life, faith, glory of the Lord, grace, heaven, inspiration, Jesus Christ, joy, joy of our Lord, Kingdom of God, prayer, rest for the soul, salvation | Permalink. DO YOU KNOW WHERE GODS TREASURE IS? Sometimes we tend to think we will not see Gods treasure until we are in heaven where it is stored up. But that is not all the treasure that God has for us. It is astounding news to find out what other treasure He has given us here right on earth and we have access to it 24/7. 2 Corinthians 4: 7 But we have this treasure in earthen vessels, that the excellence of the power may be of God and not of us. 10 always carrying about in the body the dying of the Lord Jesus, that the life of Jesus also may be manifested in our body. The greatest treasure is in our own bodies now! 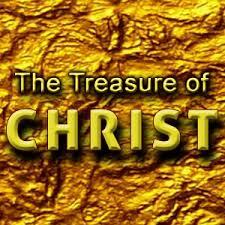 THAT TREASURE IS Christ! What we do with that treasure is of paramount importance. Luke 6:45 A good man out of the good treasure of his heart brings forth good. That “GOOD” is what distinguishes believers from the rest of the world. That “GOOD” fulfils the second great commandment of loving our neighbors as ourselves. Isaiah 33:6 Wisdom and knowledge will be the stability of your times, And the strength of salvation; The fear of the LORD is His treasure. So believers are filled with the most awesome treasure in all of creation long before they ever get to heaven. Praise the lord for His love and generosity in sharing Himself with us now. AMEN! 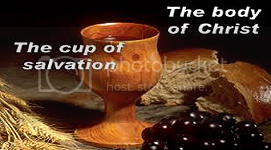 Categories: PROVOKING THOUGHTS | Tags: body of Jesus Christ, Christianity, faith, glory of the Lord, heaven, inspiration, joy of our Lord, Religion and Spirituality | Permalink.